For those considering a weekend break, Athens, the ancient capital of Greece in the Attica region, offers visitors an intriguing glimpse into a colourful kaleidoscope of history and culture. Considered to be the cradle of western civilization and the origin of democracy, Athena was the birthplace of the Olympic Games and a number of prominent figures including Socrates, one of the founders of western philosophy; Sophocles, the celebrated playwright; and Pericles, the renowned statesman responsible for coordinating the construction of the Parthenon, which began in 447 BC. The city attracts millions of visitors every year and the Parthenon, which was awarded UNESCO World Heritage Site status in 1986, remains the most popular attraction. The temple, perched on a hilltop known as the Acropolis, was erected in only eight or nine years to celebrate the success of Greek forces over invading Persian armies. Initially used as a treasury by the Delian League, a union of Greek city-states, with Athens at the helm, the temple remained in use for over a thousand years and it has survived earthquakes, gunpowder explosions, lootings, fire, and general deterioration caused by the ravages of time. 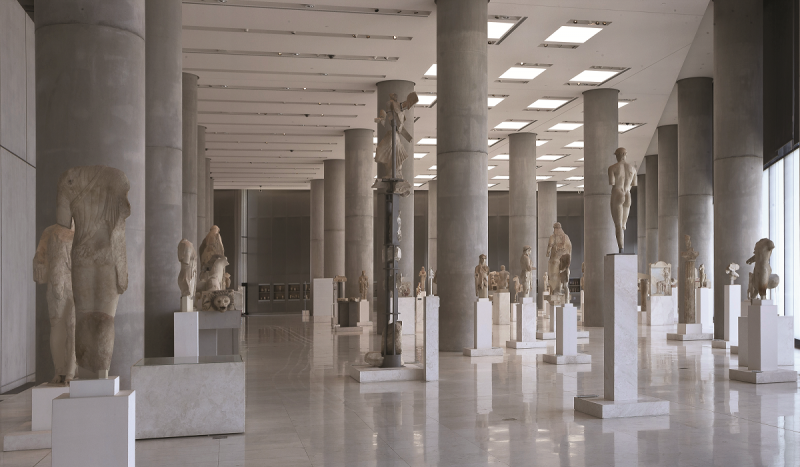 To learn more, visit the impressive and contemporary Acropolis Museum, where collections include exhibits of objects used by Athenians throughout all historic eras and the Parthenon Gallery, a glass vestibule, presents an informative video presentation focusing on the monument’s sculptural decoration. Visitors are also welcome to view ancient marble inscriptions recording the details of the cost of the construction. To experience life in modern day Athens, head for Syntagma Square, located in the city centre. Named after the constitution, granted by King Otto in 1843, it faces the Old Royal Palace, which was constructed in the same year. The neo-classical building housed King Otto and his wife, Queen Amalia until 1909 when due to fire damage and the building’s long restoration period the Royal Family relocated to the nearby Crown Prince’s Palace, which is now the Presidential Mansion. In 1924, following a referendum, the monarchy was abolished and the Royal Palace was used for a variety of purposes until 1934 when it became the centre for Parliament. Today, Syntagma Square is a busy focal point for public transport and the place where visitors gather ever hour to view the spectacle of the changing of the guard in front of the Tomb of the Unknown Soldier. The eye catching Presidential Guard uniform has become known throughout the world and reflects the attire of the Klephts who fought against Ottoman occupation. For another taste of ancient Greece, hop on a No. 4 tram for the 15 minute ride to Oktovriou, a short walk away from the National Archaeological Museum, located on Patission Street. The extensive collections include prehistoric antiquities with pieces dating back to Aegean civilizations from the sixth millennium BC to 1050 BC. The vast collection of sculptures includes masterpieces from 700 BC up to the 5th century AD and this museum also houses some of the world’s most important original bronze works. Weary travellers seeking a high end ‘hip’ hotel in the heart of the action, should head for the New Hotel, located on Filellinon Street. The hotel, which is a short walk from Constitution Square and the Parthenon, offers an exceptional level of comfort and service and features 79 spacious rooms adorned with contemporary art, custom-made furniture and handmade fixtures. I stayed in a sound proof superior plus room and the electric sun-proof and blackout roll top curtains and ultra comfortable bed, ensured that my slumber was uninterrupted and the attractive wall display of Greek talismans, known as Matiasma or ‘evil eye’, guarantees the occupant protection from negative energies. Hotel facilities include a first rate wellness centre, which offers a wide choice of treatments including a hot sea shell massage using tiger striped clam shells from the South Pacific. Heated for up to an hour and used during a Swedish massage, it’s an unforgettable experience, rejuvenating the mind and body. The hotel’s New Taste restaurant, on the ground floor, features a fascinating and eclectic collection of modern art and there is an extravagant breakfast buffet with just about every taste catered for. 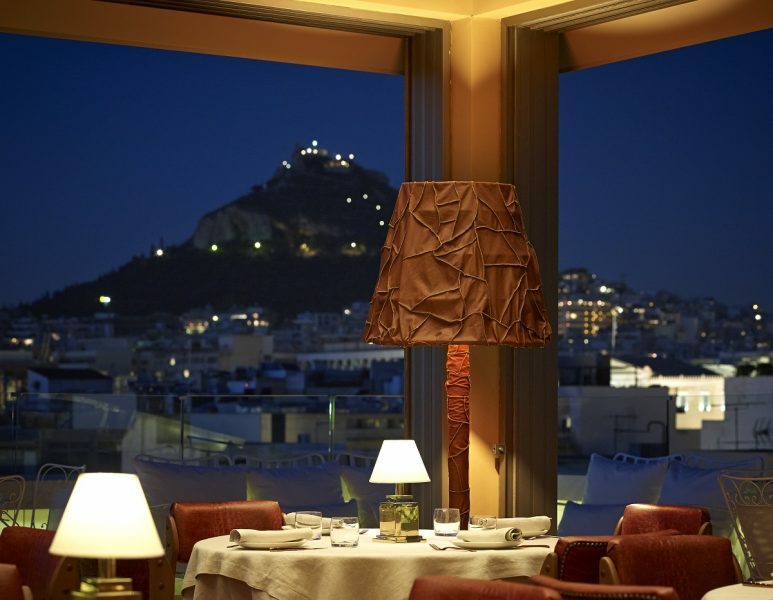 The Art Lounge, located on the top floor, is the ideal spot for dinner and the panoramic view of the city is striking. I sampled the succulent mini-burgers, served with a smoked paprika and pepper relish, gorgonzola and spicy mango chutney and the glass of the 2013 Idisma Drios Merlot, enhanced the flavours perfectly. For a more casual affair, head for the Plaka district, which is within walking distance to the New Hotel, and it’s jam-packed with all manner of restaurants, cafés and bars. 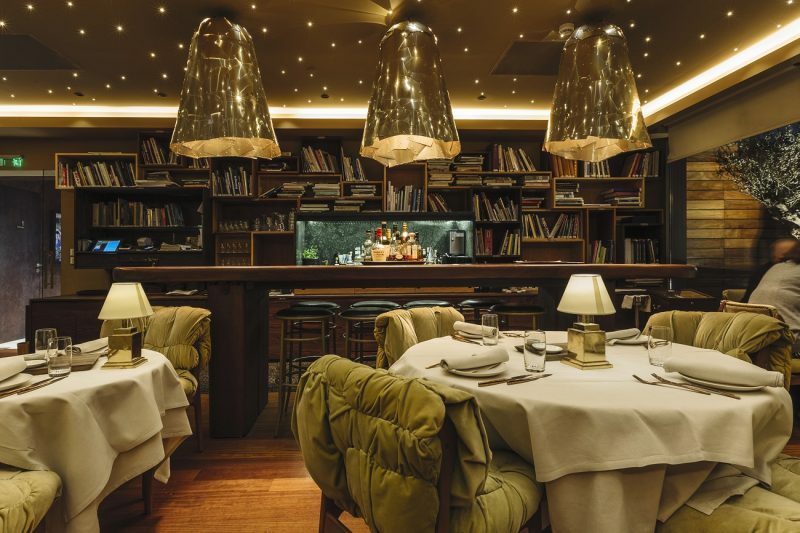 Try to avoid the over-priced establishments on the main drag and wander around the meandering side streets and beyond and the aromas escaping from one of the kitchens are sure to entice you inside. Bargain hunters should make their way to Monastiraki market, located in the old town area. It is the perfect place to rummage. Crammed with antique shops bursting at the seams with all manner of goodies, speciality shops dealing in coins, jewelry, bric-à-brac, books and of course an explosion of t-shirts, hats and more. Stop off for a breather and consider sampling a serving of cheese pie, known as tyropita, which is sold in the local bakeries or kiosks and for those with a sweet tooth savour the delicious semolina custard filled filo pastry shell, oozing with syrup and known as galaktoboureko.